Atheneum Books for Young Readers, 2012. 9781442435803. Lulu wants what she wants, but her parents can’t afford it. She needs to figure out a way to earn money to pay for it. (You can guess what she does by the title.) Her perfect, polite, hardworking neighbor, Fleischman, offers her advice that she really should listen to, but Lulu can’t get past hoping he’ll trip in his shoelaces and knock his teeth out. Why I picked it up: I’ve had this on my shelf for a while because I’m a fan of Lane Smith’s illustrations. I just finished the most recent Penderwicks book, which also has a lot of dog walking, so this caught my eye. Readalikes: The book uses different typefaces, letter sizes, colors, and layout to great effect. It’s a perfect companion to Go: A Kidd’s Guide to Graphic Design which teaches lessons about all of these design elements and more. Conrad invites his down-and-out brother Verloc to accompany him and a cigar smoking ape robot, Churchill, to the planet Ona(ji), where they must retrieve a new technology from an isolated scientific expedition -- networked pico-robots that can reproduce and transform matter. After they arrive, they find that the robots have been set loose, causing life to evolve at an incredibly accelerated rate. There’s also a mystery: a little girl who looks exactly like Verloc’s daughter showed up out of nowhere a week before their arrival. There’s also the cool technology, like force field umbrellas and three-legged vehicles whose mode of travel reminded me of Marvel comics’ Stilt Man and Dr. Octopus. Plus there are killer robots and insane scientists. Readalikes: Brandon Graham’s run on Prophet, a science fiction epic filled with strange and deadly creatures like the ones on Ona(ji), including gelatinous creatures and meat/machine hybrids. It and aama are worth reading for the otherworldly fauna alone. Castle Hangnail needs a new master soon or the Board of Magic will shut it down. But when twelve-year-old Molly arrives claiming to be a Wicked Witch, the castle's minions aren't sure that she's going to be enough to save the castle. Molly needs to pull off some impressive magic -- and fast -- in order to complete the Board-assigned tasks, and she needs to do it without anyone finding out the secrets she is hiding. Why I picked it up: I adore the humor of Vernon's Dragonbreath series which mashes together fantasy and realism in a unique way. It's made me a life-long fan. Why I finished it: All of the characters were delightful people I longed to know (well, except for the bad guys, of course). I enjoyed watching Molly gain confidence in her abilities as the minions gained confidence in her. The townsfolk surrounding Castle Hangnail were so cheerfully accepting of their strange neighbors that I couldn't help laughing. And Molly and the minions' creativity in dealing with plumbing problems and then with a challenger to Molly's place as ruler kept the second half of the book as exciting as the first. It all led up to a satisfying resolution which left enough room for a sequel (I hope). Readalikes: Anyone who loves the gentle nature of Vernon's "Wicked Witch" and her minions will enjoy the fantasy books of the late Eva Ibbotson. My favorite is probably Which Witch? where the dark wizard Arriman needs the perfect evil witch to be his bride. He decides to hold a contest to pick the best candidate but finds himself becoming closer to the witch Belladonna, who is trying very hard to be evil but only manages to do good things. Agents of the Special Operations Executive weren't spies in the traditional sense -- they were saboteurs, resistance organizers, and trainers -- but in practice, these agents were often the only eyes and ears in occupied countries. The British Spy Manual is a facsimile of product catalogs the Ministry of Defense provided to SOE, complete with aged pages, shipping information, package weights, and occasionally notes, like one about how trip wire reels sometimes do not contain the full amount of wire. Looking through this is like seeing a list of Q’s gadgets for James Bond, right down to the incendiary briefcases, water soluble paper, and secret inks. Why I picked it up: I'm a sucker for WWII espionage stories, and this book's somewhat misleading title sucked me in. The Imperial War Museum’s logo on the spine and cover didn't hurt, either. Why I finished it: In the abstract, the uninterrupted presentation of the material of war, in this reprint of authentic period documents, implies the constraints of the technology of the era. For example, WWII is sometimes called the first electronic war, but the description of the S-phone, a short range voice radio for use by agents on the ground communicating with air and sea support, gave me pause. It had to be worn by the user, needed two different sets of batteries, and weighted 32 pounds. Another section is filled with waterproofing gear and dehumidifiers -- if I had only read that section, I might have thought the enemy was moisture, not fascism. It would be perfect for: My brother Marc, who handles the logistics for our family's 4th of July celebrations. He'd get a kick out of the timed detonating mechanisms, and perhaps the “fog signals” that fused demolition charges to go off when run over by a train. My coworker Sheldon, who browses military surplus catalogs and streams some decidedly unusual training and reenacting videos in his off time, would also probably enjoy it. Readalikes: Between Silk and Cyanide by Leo Marks, a memoir by a young man whose first job was as the codes expert and later deputy director of signals for SOE. London Calling North Pole by Hermann Giskes, a memoir by the German counterintelligence officer who faced the SOE threat head on, and who caused one of its greatest failures. It has the unusual provenance of being penned by someone acquitted of war crimes. A photo collection of a variety of dogs riding in cars. Why I picked it up: Gene knows I love dog books, and told me this one was coming out. Why I finished it: When I see dogs in cars, even in Seattle-area in traffic, they always make me happy. I expected smiling, drooling dogs hanging out of car windows, but this book goes well beyond that. The perspectives are unique, including a series called "Johnny's Ride to the Dog Park," where the camera shows Johnny, a Boston Terrier bouncing around in a 2013 Fiat 500 Pop.The final photo shows the park from Johnny's perspective, a panoramic shot of dogs romping through the grass. Another photo from the point of view of two American Staffordshire Terriers, Grady and Donna, is a blur of colorful trees as the car speeds past. I found myself looking at that photo repeatedly, not just for the colors, but for its sense of motion. It's perfect for: My friend, Trina, who is always trying to take photos of her dogs. Not only does the end of the book list the names, ages and breeds and car makes and models, it has a chapter in the back with tips on photographing your own dog. Trina and I have often lamented that we can never get shots of our pets that show their true personalities. In order to avoid the wolf-eyed look, Regan suggests using diffused, natural light from a window or an open door instead of the built-in flash that most cameras have. 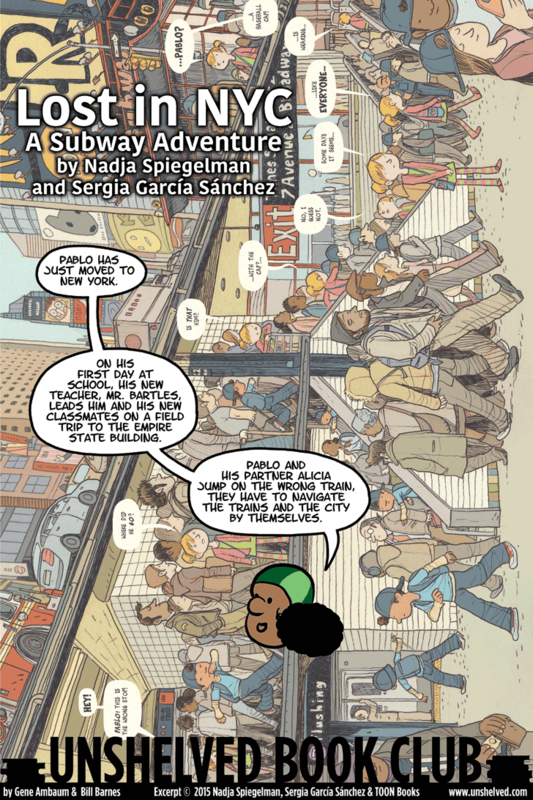 Little, Brown Books for Young Readers, 2015. 9780316404532. Mal is secretly a Blank, and can destroy magic he comes in contact with. His only friend on Prince Island is Essie Roe, next in line to be the powerful and feared Roe Witch responsible for the success of the whaling fleet. As they grow up together, Mal is blindsided by Essie's treachery -- in a fit of anger she reveals his power, forcing him to leave the island. His Blankness makes him very useful to Boone, a silver-tongued hunter who roams the globe looking for magical items to sell at auction. They go on a quest for the Shar, a magic knife that can take the talents of a magic user away and transfer them to the knife’s wielder. After they find it, Mal plans to return to the island and use it to take away Essie's powers. Or that’s what he will do if the madness that eventually overcomes all Blanks doesn't claim him beforehand. Why I picked it up: I read the description of Mal's talent as a Blank and I was instantly interested about this magic-filled world and how he would fit into it. Why I finished it: Having read thousands of fantasy novels, it’s unusual to find a world that feels this fresh. And Mal and Boone's adventures as hunters, competing with others, was a real draw. They worked in tandem, each using their own talents to defeat magical protections or get information they needed to keep hunting. It's perfect for: Trudy, who demands books with a high level of complexity. She would like this book because Mal is very powerful with his one-in-a-million talent, but he is still a little boy inside, and looks to Boone as a father figure. This is a story that is emotionally powerful as well as suspenseful, and the ending will throw her for a loop. Beach Lane Books, 2014. 9781442458802. A cat and a child wander through their back yard, discovering an amazing variety of insects. Why I picked it up: This book was mentioned on a couple of mock Caldecott lists, and even though my library focus is on teens, I love picture books. And I need to compete for Best Auntie in the World against my niece Clover's other two aunts. Why I finished it: For much of the book, the bright and inviting illustrations show everything from a ground view, which took me right back to one of my favorite childhood hobbies -- tipping over rocks and discovering who lived underneath. While in real life, many bugs may be a bit scary for little kids, the ones in Some Bugs have been rendered comical and friendly by their big bulging eyes. 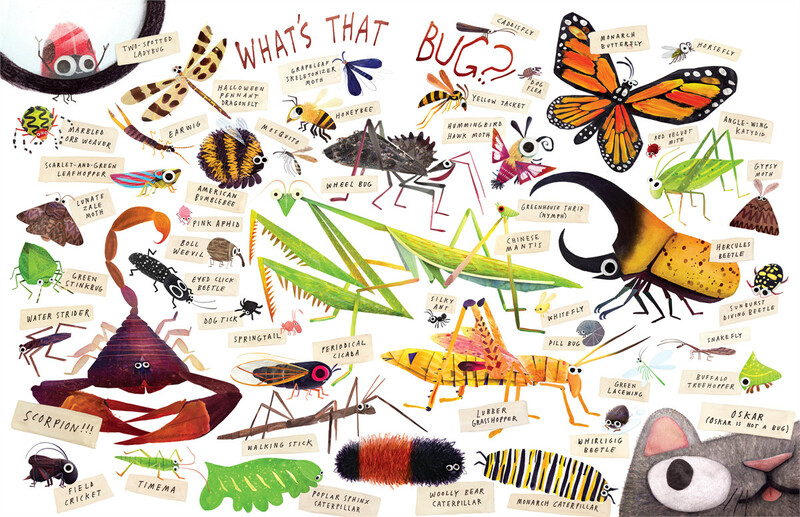 It does a brilliant job luring kids into the fascinating world of bugs, showing different behaviors and types in a very appealing path of discovery, followed by a great two-page who’s who spread at the end. Readalikes: This would be wonderful for kids who adore Eric Carle's The Grouchy Ladybug and The Very Hungry Caterpillar but are ready for something more visually complex. Wenzel's illustrations are packed with action and teeming with an engaging variety of bugs (plus a few mammals, amphibians, and birds lurking in the background) that will have readers pouring over the pages, discovering all sorts of delightful surprises. This coffee-table sized book presents historic maps in five sections: classical, discovery and travel, new directions and beliefs, thematic maps, and modern. Every one of the more than sixty maps is presented on at least four pages, with the map taking up the first two, followed by a detailed visual tour of the unique features of each. For instance, Juan de la Cosa's World Chart talks about how it was believed lost for centuries, until it turned up in a Parisian shop in the 1830s. The map itself shows European knowledge of the Americas and the rest of the world right after Columbus's voyages west, and the details include a fairly precise depiction of Brazil, and the vaguely understood idea of India without its subcontinental peninsula. Why I picked it up: I love maps, and I've reviewed a couple other map-related books for Unshelved. Why I finished it: There are so many cool maps here! I was hooked on them from the beginning by the Dunhuang Star Chart, an ancient Chinese map of the night sky depicting over 1300 stars, and Leonardo da Vinci's map of Imola, one of the first maps to depict a city from an aerial view. There is also a peek into the Vatican Gallery of Maps where a passage of forty fresco maps runs nearly 400 feet in length, creating the sense of walking through Italy from north to south circa 1580. It's perfect for: Scott, an amateur mapmaker himself, who would love John Snow's Cholera Map, which depicts the birth of modern epidemiology when cholera broke out in London in 1854. He'd be fascinated by how Snow recorded cases of cholera as they happened, with little black bars, and then looked at their proximity to water pumps to discover the most likely sources of disease.